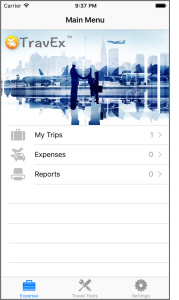 ♦ Enter Expenses whilst off-line on your flight or in the taxi. 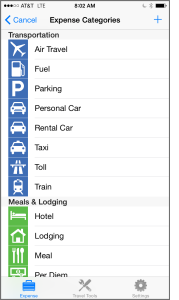 ♦ Categorize each expense using our default categories or add custom categories. 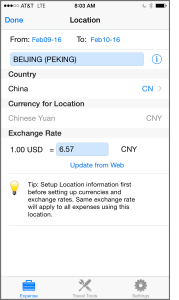 ♦ Auto calculate exchange rates based on location or customize for a specific rate. ♦ Default or custom payment types for easy reconciliation with credit card bills etc. 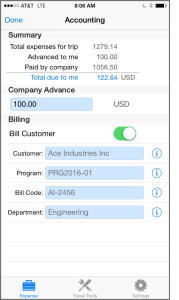 ♦ Allows for multiple receipts per expense using your phone camera. ♦ Bonus travel tools including; common conversions and custom Checklists. 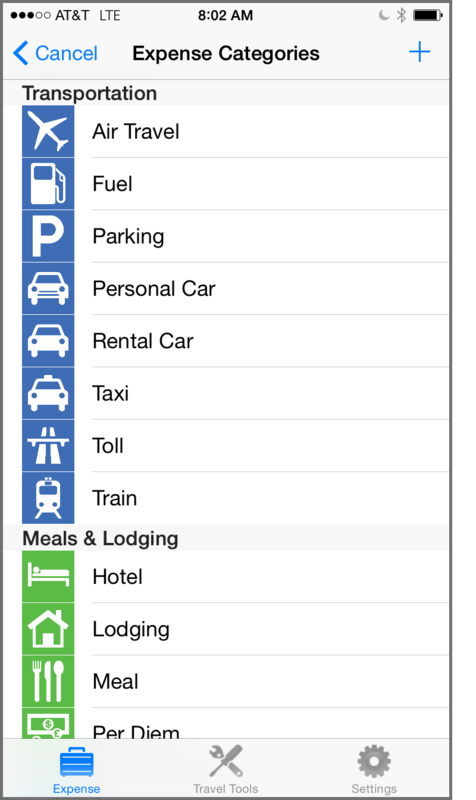 ♦ Categorize expenses with Icons for quick reference. To help simplify and ensure correct data entry, expenses can be categorized. Each category offers unique data entry tailored to the expense classification. ♦ Set default amounts and default payment type for each category. 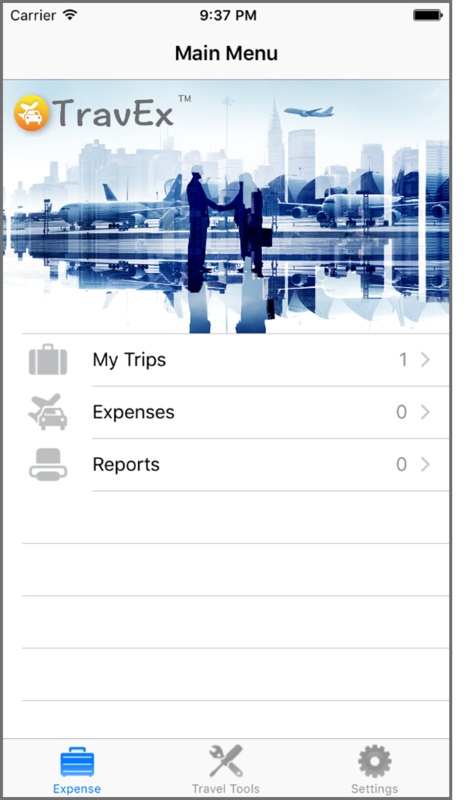 ♦ Add your own customized expense categories with customized expense options and icons for quick data entry and category recognition. Preset trip locations before you travel. 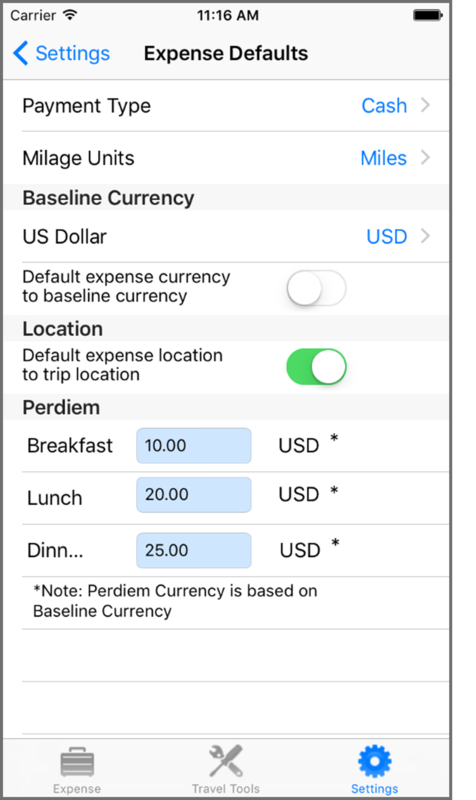 Automatically setup expense parameters such as exchange rates as you travel through each location. ♦ Select locations from a convenient location search including current location, previous locations or select from a list of common database locations. Not all trips are the same. 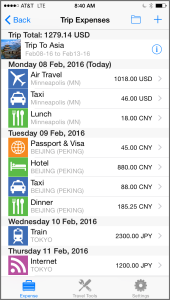 Setup common defaults for your trip, simplifying expense entry as you travel and enter expenses. 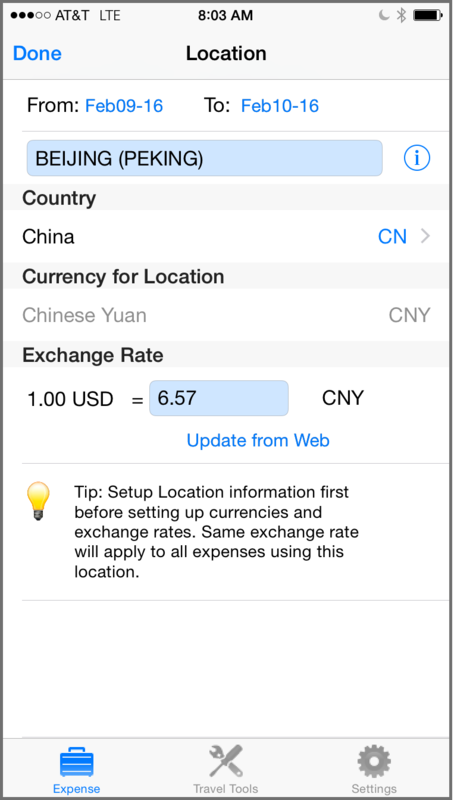 ♦ Set currencies to either a default baseline/reference currency or automatically use the currency for the entered location. 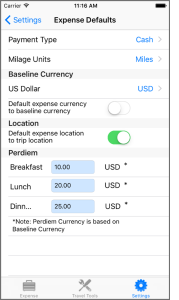 ♦ Enter default amounts for Perdiem. Ensure expenses are being allocated to the correct customer or program. ♦ View running total of you trip expenses and what’s owed to you. 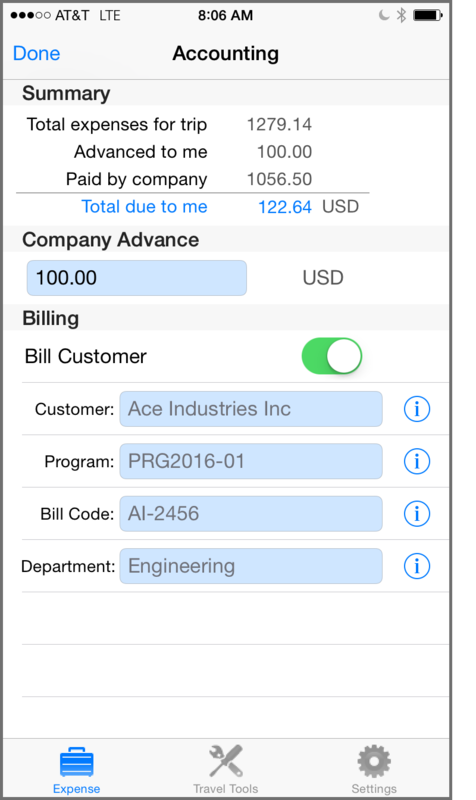 Finally submit your expense report directly from your phone. 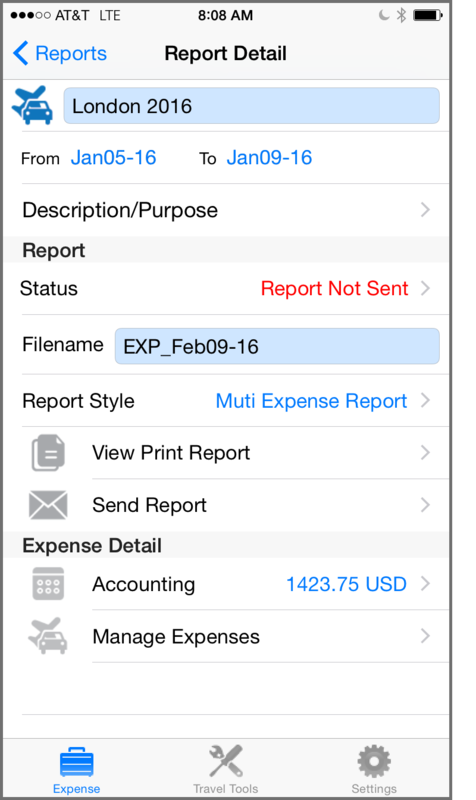 ♦ Customizable report styles including expense summary, accounting information, expense lists, expense details and receipts. 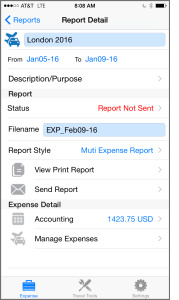 ♦ Preview expense reports before you submit them. 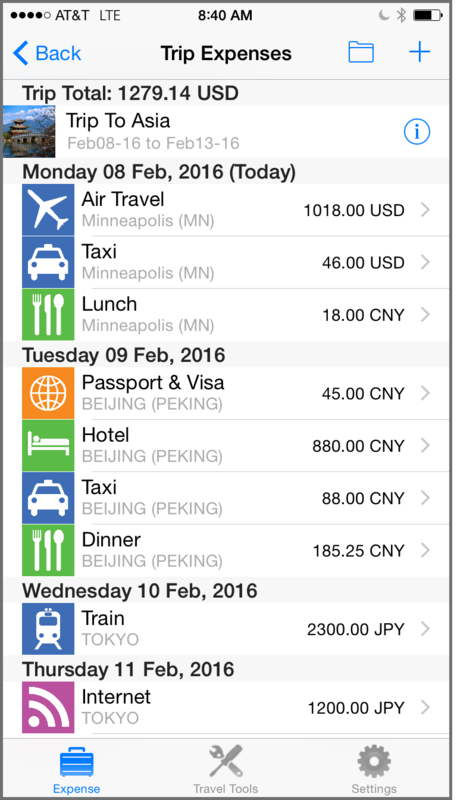 ♦ Email reports directly from the travel expense app.